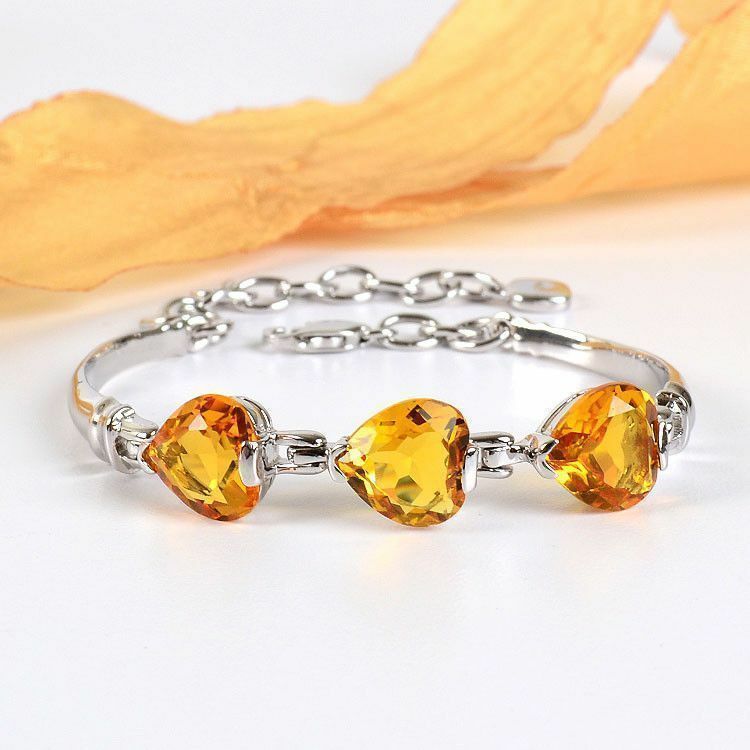 This slight twist on a classic bracelet features three yellow-gold heart shaped created citrine gemstones set in rhodium plated sterling silver. 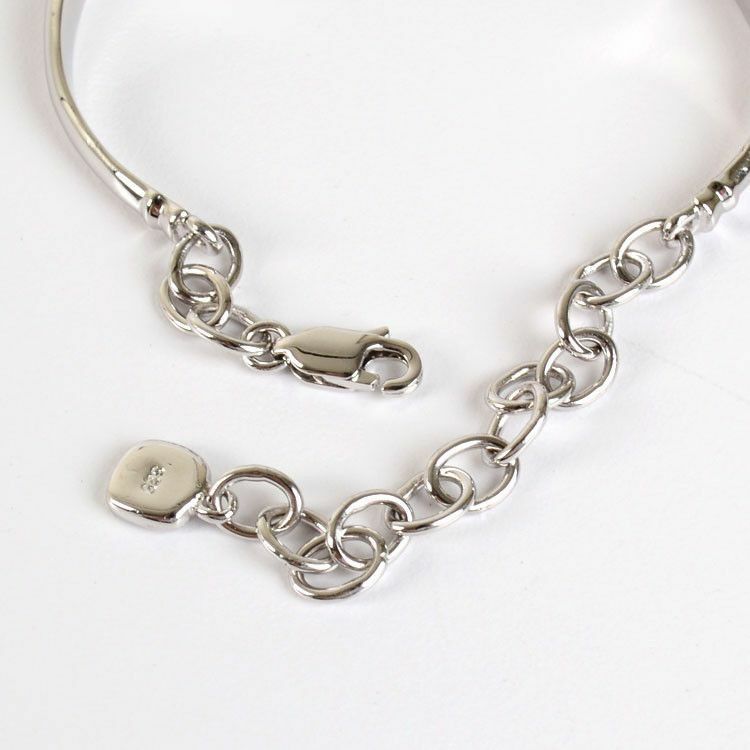 It ends with a chain and a lobster clasp for adjustable length. Its maximum length is about 8 inches. 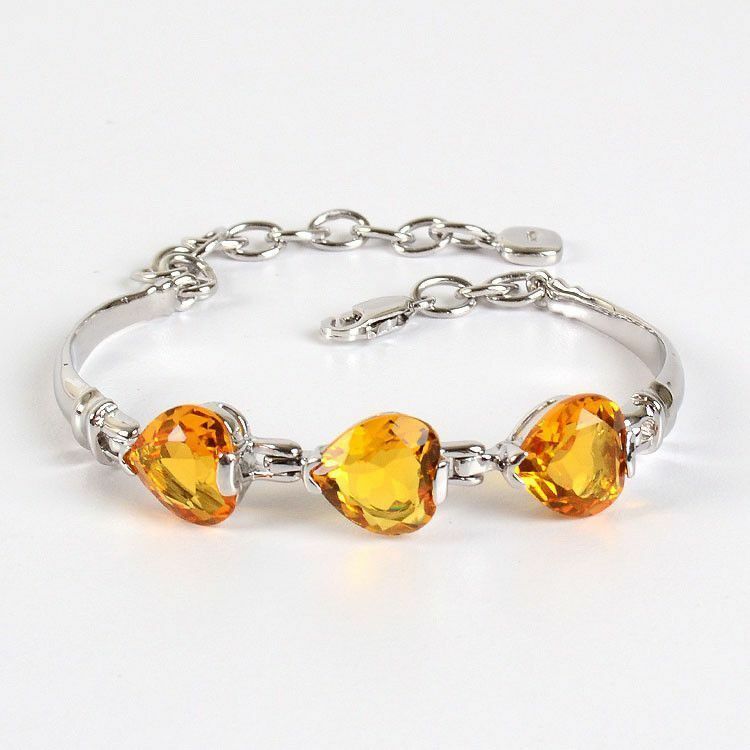 Citrine is a birthstone for November. Bracelet is about 8" long.